Looking For Employment in the Industrial Electronic Repair Industry? 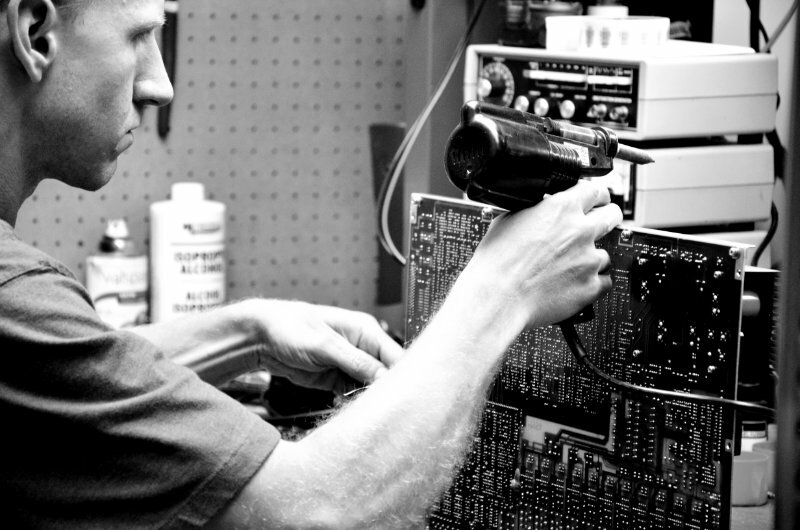 At Providence Industrial Electronics Repair, our technicians are, bar none, the best in the industry. We provide a relaxed work atmosphere, while providing encouragement and opportunities for each employee to excel. We set the bar high for our staff, both professionally and morally, so that in the end the best possible job is accomplished for our customers. Providence is always taking applications for experienced technicians. Due to the difficult nature of most of our repairs, we only need highly skilled technicians with experience repairing industrial electronics. Education level equivalent to an Associates degree in electronics. Five years or more experience repairing industrial electronics at the component level. Print and fax an application along with your resume to: 336-969-0355.